Introducing...Space Hats Kits! In where else but the kits section of the shop! These totally awesome kits have four knitting patters from beginner to intermediate and a handspun naturally dyed Midnightsky Fibers yarn to make any one of the hats. 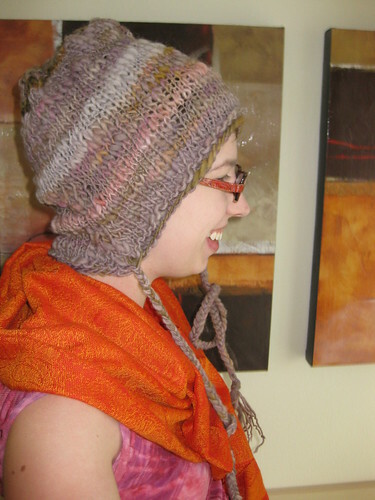 Each included hat pattern comes in small, medium, and large sizes. Yea, of the 50+ photos with and without glasses this is the best one, and I still look silly! I suppose it doesn't help that I made the largest size of this hat pattern as a test so it is to big for my head (22 inches instead of 20). Ok, back to plotting space themed everything!